Although this show has been around for several years, this was my first time seeing it. My daughter and nephew had a blast seeing all the trains whiz by. But the adults were amazed at all the amazing detail and work that went into creating all the replicas of famous New York City buildings, landmarks, and bridges - creating the impressive backdrop for the busy network of trains. 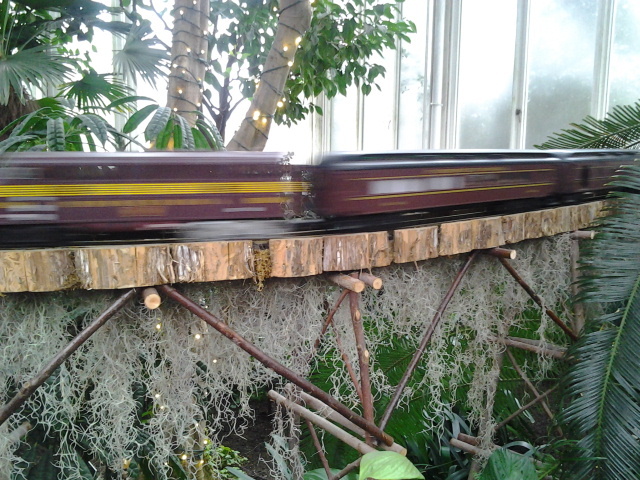 The Holiday Train Show is a brilliant idea for bringing in income to the Botanical Garden during winter months, and it's one of the best holiday shows I've ever been to in any city. 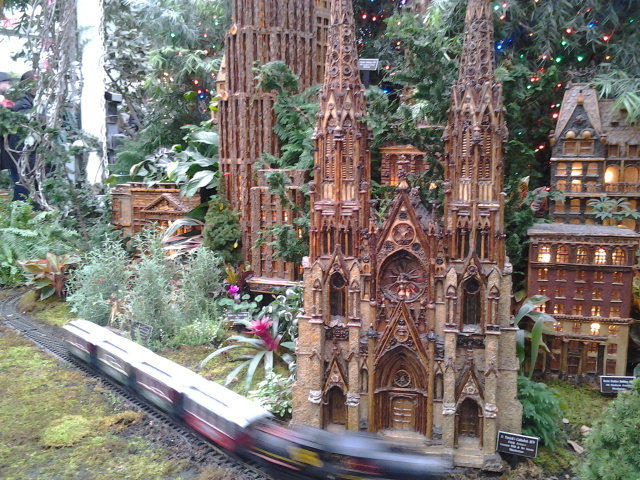 What's most impressive about these replicas is the fact that they're made out of plants and trees, a brilliant tie-in to the Botanical Garden itself and a pretty amazing feat in construction and design. 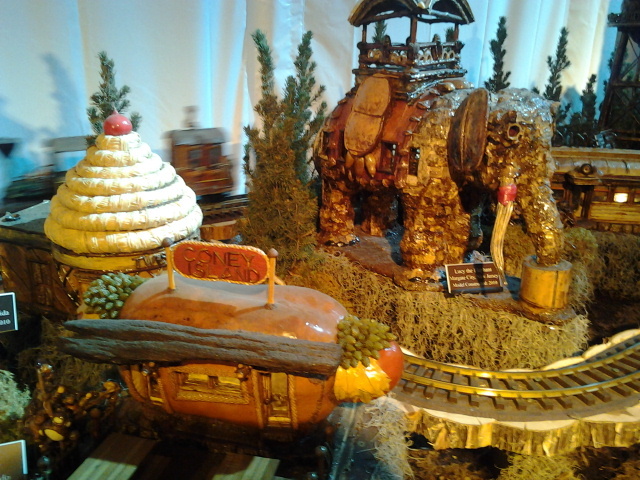 They're built by Paul Busse and his team at Applied Imagination. It was fun pointing out some of the landmarks to the kids to see if they recognize any of them. It was also fun discovering them with my in-laws since they once lived in New York City, too. Some of my favorites include the Brooklyn Bridge, Radio City Music Hall, Belvedere Castle, the Apollo, and Yankee Stadium. 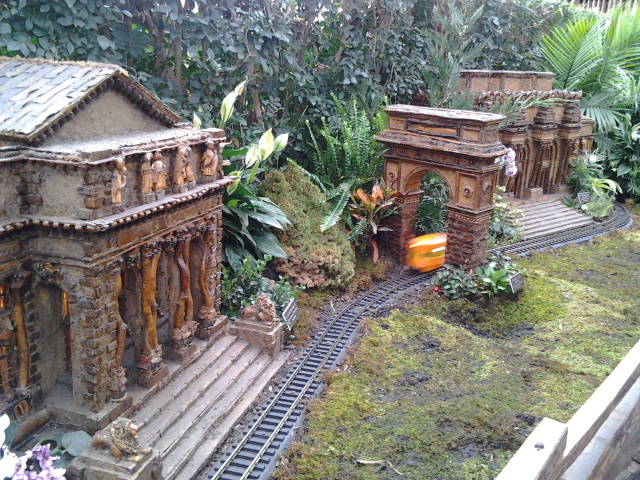 There were hundreds of famous and not-so-famous landmarks. 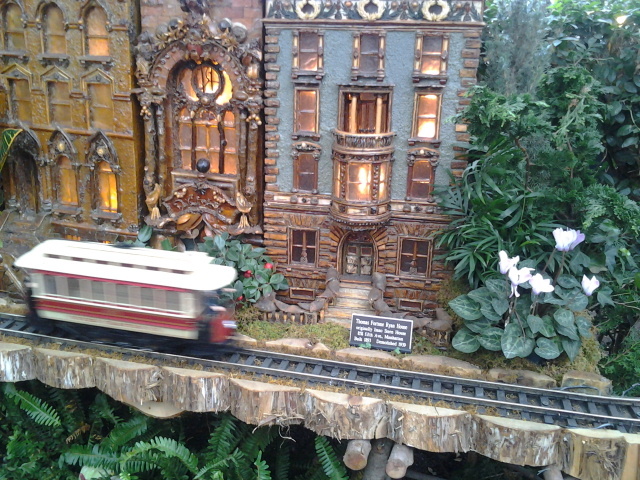 The Holiday Train Show is a must-see if you haven't been yet. It's a great trip for adults and kids. And the kids will get an extra kick out of the Thomas the Train show that's going on at the same time through Jan 27th at no extra cost. Order your tickets online and do it well in advance! Tickets for today's three shows sold out a few days ago.